The Grammy-winning Soweto Gospel Choir performs at 8 p.m. Friday, Feb. 28, at the Riviera Theatre. 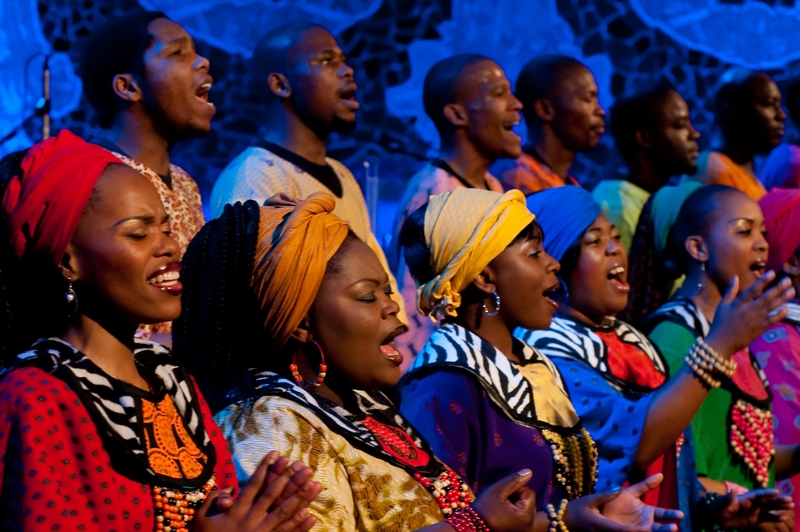 Fifty-two voices strong, the Soweto Gospel Choir sings all over the world. From their home base of Soweto, South Africa, they have trekked to concerts in Europe, Singapore, Australia and the Americas, collaborating with musicians including U2’s Bono, the Eurythmics, Peter Gabriel, Jimmy Cliff, Josh Groban, Aretha Franklin and Stevie Wonder. Amid all this excitement, though, they have played the Buffalo area only once – two years ago, also in the Riviera Theatre. It was a happy accident – Riviera director Frank Cannata ran into someone from South Africa at a party, and way led on to way. The Soweto Gospel Choir sings at 8 p.m. Friday in the Riviera Theatre (67 Webster St., North Tonawanda). Tickets are $35-$40. For more information, call 692-2413.